2017 has been another outstanding year for Wisconsin, and I’m excited to share with you some of our state’s many successes. 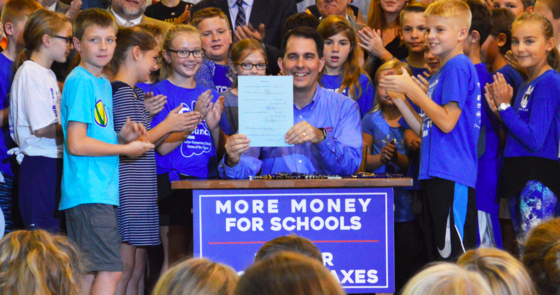 We’re investing more actual dollars into K-12 education than ever before in state history, driving student success and ensuring students all across Wisconsin have access to a great education. We’re also making major investments in our technical colleges and in the University of Wisconsin system, including more needs-based financial aid than ever before to help make college more affordable for students and working families. Economically, Wisconsin is open for business and stronger than ever. This year alone, 59 businesses worked with the Wisconsin Economic Development Corporation to expand or relocate their operations to our state. That translates to over $11.6 billion in capital investment and a planned creation or retention of nearly 30,000 jobs. This year, we eliminated the state portion of the property tax. Now and going forward, 100% of property taxpayers will see a 100% reduction in your state property tax bill. As a percentage of personal income, Wisconsin’s property tax burden is now at its lowest level since the end of World War II. As if that wasn’t enough tax savings, the typical Wisconsin family of four will save $2,508 in income taxes thanks to the federal Tax Cuts and Jobs Act, according to an analysis from the Wisconsin Department of Revenue. I can keep listing Wisconsin’s great statistics all day, but what really makes me happy is traveling the state and hearing how proud people are of their families, their communities, their schools, their employers, their places of worship, and their organizations. That’s what truly makes Wisconsin a great place to live, work, and grow. Let’s work together to make 2018 even better, and keep Wisconsin moving forward. 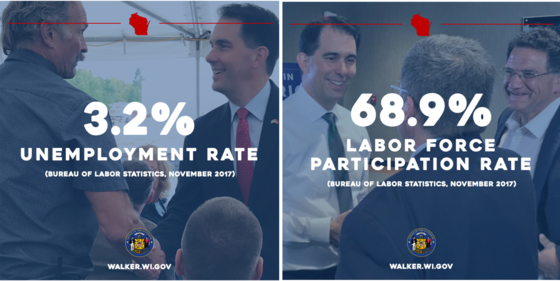 Last week, the U.S. Bureau of Labor Statistics released its November jobs report, and Wisconsin has cause for celebration. Wisconsin created 42,900 private-sector jobs from November 2016 to November 2017, with a significant year-over-year gain of 16,900 manufacturing jobs. That’s the largest growth in manufacturing jobs in all the Midwest. On top of that, our unemployment rate dropped to 3.2% in November. Prior to 2017, that is the lowest unemployment rate since February 2000. Wisconsin also tied for 1st in the Midwest, and tied 8th nationally for year over year drop in the unemployment rate. Our labor force participation rate, or the rate of working-age citizens in the labor force, stands tall at 68.9%, far above the national average of 62.7%. Wisconsin’s workforce is standing on solid ground, and the future looks bright. Going forward, we’re dedicated to developing and enhancing the highly-skilled workforce Wisconsin is known for. Soon, the sound of freedom will ring out in the skies over Madison. 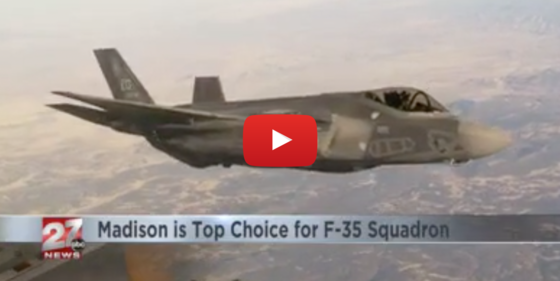 Last week, the Wisconsin Air National Guard’s 115th Fighter Wing at Truax Field in Madison was selected as one of two preferred candidate bases to receive the U.S. Air Force’s F-35A Lightning II. We’re proud of the dedication and professionalism of our 115th Fighter Wing and our Air National Guard as a whole, and excited for their future as a vital element of the Air Force’s combat reserve. It’s a tremendous honor to host the Air Force’s newest and most technologically advanced fighter aircraft and serve as its new home base for future missions.